easy place where to stay. not sophisticated hotel, cute and comfortable huts, good breakfast, decent pool and attached to a very calm little beach (bailan bay). wi-fi connection is also working good and they have fast and cheap laundry service. ask them when you want your hut to be made up. we stayed at the sea terrace bungalow for 4 nights and really enjoyed the stay what a lovely peacefull resort friendly staff great little pool looking out to the beach breakfast ok the bungallow was a bit in need of repair or freshen up but a lovely terrace to sit and relax to the wonderfull views of lonley beach. This was a bit of an emergency choice because we left it late to book, and it was pretty much as expected :) Staff weren't really bothered and we had to keep asking for drinking water and cleaning, but for the price you get a nice balcony and an OK room. They also rent motorbikes which is handy. Should be quiet location but they kept playing loud dance music! The garden is lush though and the puppy adorable. A very nice place to stay right on the beach. The Gardens are lovely with lots of fruit on trees. The Cottage was clean and comfortable. The resort is nice and quiet for a relaxing stay. They have Bikes for hire and they have a Washing service at reasonable cost. There are a few Restaurants close by with very good food at very good prices with excellent service by local staff. I have stayed here twice, once with a friend and once with my boyfriend. It is family-run and feels very homey for that reason. The Thai food is pretty good and the staff are very accommodating. This is not an all-inclusive resort so you do have to ask for things. Often you may have to wake the sleeping grandmother up from her cat nap, but if you're ok with that it's a great deal. It's not very close to the lonely beach area so be prepared to walk on winding roads, rent a motorbike, or pay about 50B each way on a songthaew. 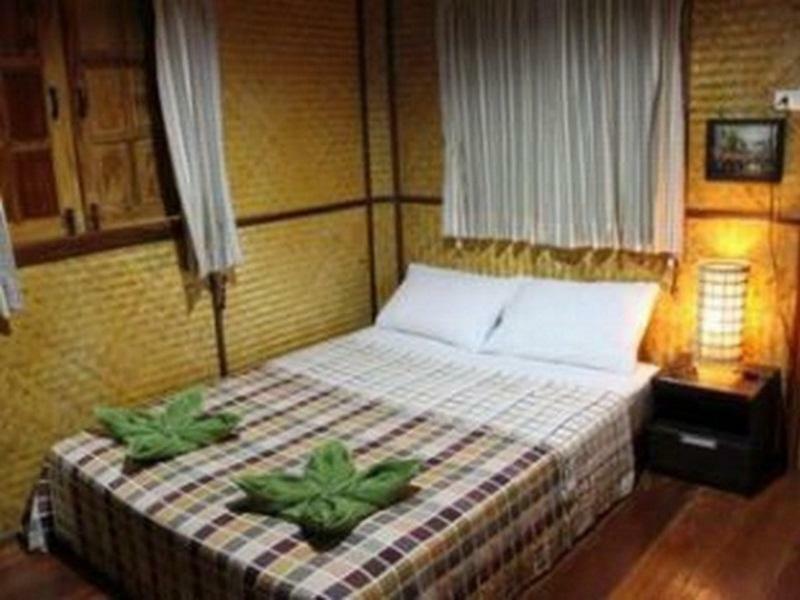 I find that the distance is worth it since these bungalows are better quality and quieter than the comparable resorts closer to Lonely Beach. Lastly, when I first got there the water was broken in our bungalow and they were being a little cheeky about fixing it, so this is a good place if you're not bothered needing to ask twice for things. Great for the price though! 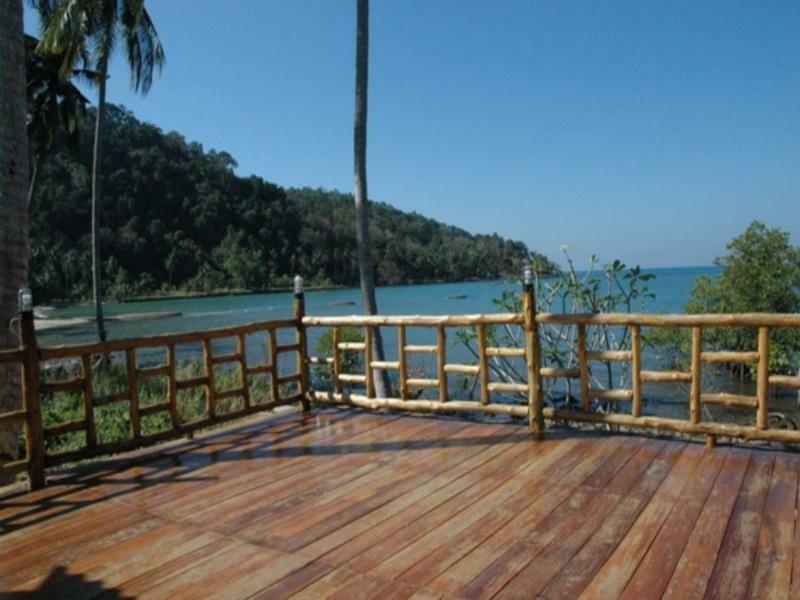 We choose this resort just for the location on the southern part of Koh Chang. We were planning to stay only 1 night but ended up staying 4!! 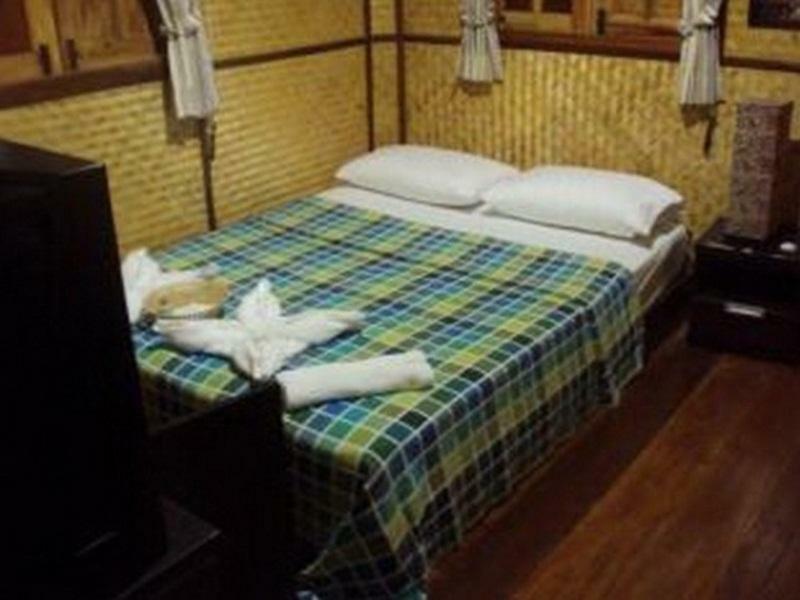 It's a really quiet area, the rooms are very clean and the staff is extremely helpful. Not only for services like laundry, bus/boat tickets, but also for helping us finding a nice place to go out. Cheers. The bungalows were nice, private and comfortable. The staff was very friendly and helpfull. The bungalows are right at the beach, which was perfect. You can enjoy the sunset from there. You have to rent a scooter though, to be mobile and to see the rest of the island. It's a far walk to the nearest center. Friendly and helpful stuff. Good view to the sea. Very helpful and friendly stuff. I checked bungalows nearby lately and Green Cottage one was best offer for that little price. It was cool in bungalow even with fan, and it was enough space inside and considerable good condition compare to other offers (even pricier). Stuff was helpful and friendly, and view from resort was stunning. You can also rent bike here without money/ID deposit if you stay here. Party are on nearby village you an walk to, and fisherman bazar with fresh seafood and souvenirs are in 15 minutes by bike. No Wifi, when asked the lady was rude saying "You are staying only for one night and complaining for wifi when all other are living comfortably without wifi since 3 days. Shower was connected to electricity but no hot water. The place is a bit old and the location is not near a nice beach. Trash was not picked up from our room until we asked and our room was not cleaned. The staff gave wrong price info and got very angry and yelled at me when I expressed my displeasure at their misinformation. Level of English was extremely low. The hotel with its small bungalows located in a quiet area yet close to restaurants, spas and activities. The staff is helpful with booking activities but the cleanliness of the room, filling the water bottles and towel we got remind them. Since we were at the end of the season so most of the things in the menu was out off stock "end of the season." Have you as a person not so high requirements on the standard, then you can imagines this accommodation as "a bed for the night" then this is recommended. We had a great holiday. The room was budget but clean, and we really enjoyed the stay. For the price, we wil be coming back again. There were a bunch of ants coming into the bathroom, but we grabbed a can of insect spray on the first day and had no more problems. The pool was nice, but needed some cleaning. The beach was only a short stroll away, 50m south of the hotel the sand was great and nice clean beaches. Unfortunate that the steps down to the beach from the hotel were a bit neglected. 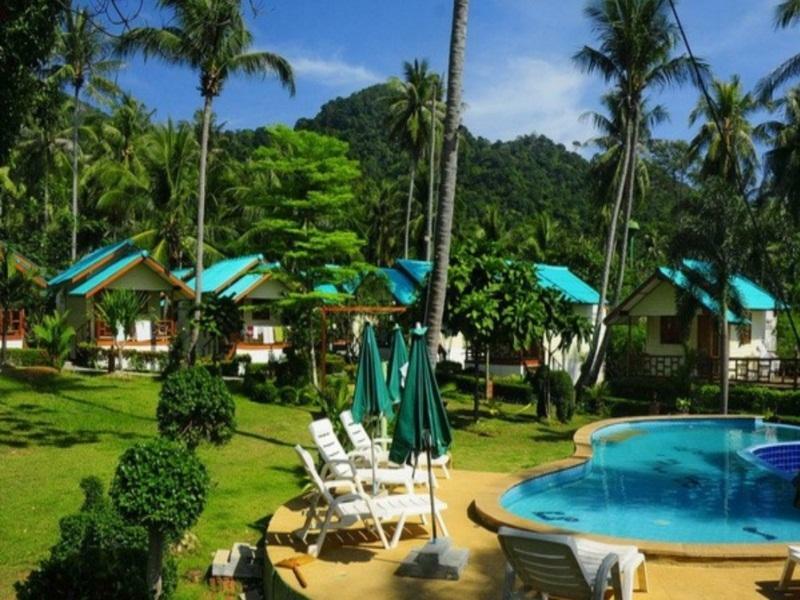 Overall, for the price, this was the best hotel on Koh Chang. If you are fussy, would recommend spending more and going to a more upmarket hotel. For budget travellers this hotel was awesome. We were a little disappointed with the hotel due to its remote location and lack of restaurant / bar. the room was fine, although there were cockroaches and ants, but it was close to the beach and had an OK swimming pool.